Entering a new realm within the short telephoto lens market, the AF-S NIKKOR 105mm f/1.4E ED Lens from Nikon is an incredibly bright portrait-length lens designed for FX-format F-mount DSLRs. The f/1.4 maximum aperture benefits working in low-light conditions and also affords extensive control over focus for shallow depth of field imagery. Maintaining clarity and sharpness throughout the aperture range, the optical design utilizes extra-low dispersion glass to minimize chromatic aberrations and color fringing, and a Nano Crystal Coat has been applied to reduce flare and ghosting in strong lighting. 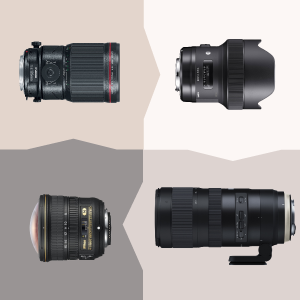 Availing a range of unique possibilities for a telephoto lens, the combination of the 105mm focal length and fast maximum aperture greatly benefit portrait photographers as well as event shooters. Balancing the optical attributes, the lens is also characterized by a Silent Wave Motor that produces fast, smooth, and quiet autofocus capabilities, along with the ability to manually override focus at any time for more selective control. An electromagnetic diaphragm is also featured for greater exposure control stability that is especially beneficial when working with faster continuous shooting rates. 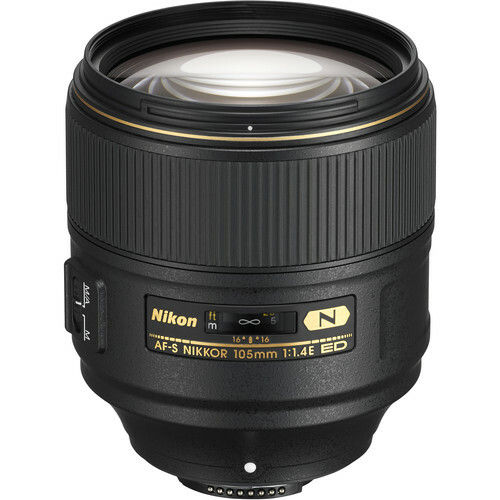 Short telephoto prime lens is designed for FX-format Nikon F-mount cameras, however can also be used on DX models where it provides a 157.5mm equivalent focal length. Awesomely fast f/1.4 maximum aperture enables precise control over depth of field when working with selective focus techniques, and also benefits working in low-light conditions. Three extra-low dispersion glass elements are used in the optical construction to reduce a variety of chromatic aberrations for a high degree of clarity and color neutrality. A Nano Crystal Coat has been applied to lens elements to minimize surface and internal reflections for a marked reduction in lens flare and ghosting. Fluorine coating on exposed elements affords protection to the optical system. This mechanism limits the compatibility of this lens to the following cameras: D5, D4, D3 series, Df, D850, D810, D810A, D800/E, D750, D700, D610, D600, D500, D300/S, D7500, D7200, D7100, D7000, D5600, D5500, D5300, D5200, D5100, D5000, D3400, D3300, D3200, D3100, Nikon Z7/Z6 with FTZ, Nikon 1 J1, J2, J3, J4 with FT-1, Nikon 1 V1, V2, V3 with FT-1, and Nikon 1 S1, S2 with FT-1. Box Dimensions (LxWxH) 9.9 x 6.6 x 5.5"
AF-S NIKKOR 105mm f/1.4E ED Lens is rated 4.9 out of 5 by 72. Rated 5 out of 5 by Grandpa Pete from Simply Stunning I bought this lens for portraiture after seeing so many images online that revealed it's capabilities in that area. After receiving and using this lens for a month in all kinds of situations on my D800 I am in awe. It produces stunning images wide open or stopped down. Critically sharp within the DOF and an extremely pleasant transition to OOF areas. It focuses more like a good zoom than a prime, very quick and accurate. It handles backlit subjects very well, is flare resistant and I have seen no evidence of CA in high contrast edges so far. Edge to edge seems distortion free. I have some pretty good lenses but this one is in a class of it's own. Well worth the money. Rated 5 out of 5 by Joseph S. M. from Perfect, but fat and heavy If you're looking for a great portrait lens, the 105/f1.4E is it.? The optics is stellar and the focus is nearly perfect.? I will say tho, that I wasn't prepared for the width/diameter and weight.? It's a rather big and heavy (985g) lens, especially with the hood installed.? It took a little getting used to.? With that said, it is still smaller than Canon's 85/f1.2.? The build quality seems good, although the outer plastic shell feels rather cheap for a lens in this price range.? It is also made in China which I am NOT happy about, but will see how she holds up.? If you can afford the price of admission, go for it, you will not be disappointed. Rated 5 out of 5 by Keith from Nikon 105 1.4 turning out to be my favorite lens. I have wanted a Nikon 200 f2 for many years, due to its creamy bokeh and rendering, but the size and cost of it has always deterred me. While a different focal length, the Nikon 105 1.4 seemed like an excellent alternative. It has been everything I hoped it would be. I absolutely love what this lens does. It give you a wide latitude of creative expressions from making the background disappear to keeping everything in focus. It's sharpness wide open is becoming legendary. I used to rely heavily on my Nikon 70-200 2.8, and while it is still a great lens for many purposes, the 105 really surpasses it when I can use the focal length. This is the lens that will be on my D810 more than any other. Rated 5 out of 5 by Michael from Beautiful Bokeh and Very Very Sharp I derive great enjoyment shooting with Nikon's F1.4 prime lenses, and I was intrigued when this lens was first announced and decided to go for it. First of all, it's a big and hefty lens and carries a significant cost. I've read from other reviews that similar results can be achieved in portraiture using the 85mm F1.4 and that is somewhat true but not completely. Is it close enough? That's for you to decide. I've just started using it and must say that I am very satisfied with this lens purchase even though I also have the Nikon 85mm F1.4G and the 105mm F2D lenses. Rated 5 out of 5 by Egill Bjarki from Fantastic Sure, this thing is expensive, but here you are, considering it. I was really on the fence, for the price, it better be very good! Cutting to the chase, it really is! Straight from f/1.4 the uniformity of the sharpness across the frame is fantastic. There is no CA to speak of, but there is a bit of vignette wide open. By f/2 there is very little vignette and sharpness is a little more pronounced. When I am buying a prime lens, as apposed to zoom, I am not looking for convenience. 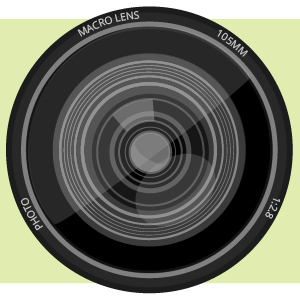 Ideally, I want to be able to get that high image quality at the largest aperture. But in reality, with most primes lenses, I find myself stopping down one f-stop, to get optimal image quality. There is no need for that with this new Nikon 105mm, it is made to be used wide open, and it shows! Rated 5 out of 5 by Nicholas from Highly recommended Love love this lens! I am currently using it with my D800. Super sharp and great contrast. It is heavy but I guess I am used to it since I tend to carry around the 14-24. Attached is an example of the kind of photo it is capable of producing. The moluccan cockatoo was standing in front of a tree with the setting sun peeking through the leaves. At f/1.4, the background just melted away. Great bokeh. Rated 5 out of 5 by Anh from Oh la la! I already have the 24-70mm f2.8 and the 70-200mm f2.8, also the 28-300mm for travel. So I am well covered for any range from 24-200mm. However....my pictures are not as sharp as those generated by this lens. It has a dreamy effects, super beautiful for portrait photography. Furthermore, the f1.4 allowed to capture pictures when other lens can not. I went to a group photography and all the other photographers were giving up with their camera and I kept shooting because of my f1.4. ;-) I love it. Even though a little bit expensive, but if you can afford it get it. You wont regret. I didn't. I'm eying for the 28mm f1.4 next. Will this lens work with a teleconverter? The 105mm f/1.4 will work with a Kenco t/c because the Kenco t/cs have a different construction. ( As with all t/cs ), for best results, you need to stop down a bit. At f/2.0, the 105 f/1.4 plus 1.4 Kenco produces nice images. Hi. I would like to know about best 3 lens for night shot with nikon 7500? In terms of which 3 lenses are best for shooting at night, that would depend on the subject matter. Please e-mail your inquiry to us to askbh@bandh.com so we can better assist. Does this lens work properly with Nikon F100 and new film cameras? Asked by: Minh Duc C.
It will work with the F100. It will not work with film bodies that don't support electronic aperture control, many N-Series cameras will also likely not work. But the F100 has worked with every G Series lens I've ever put on it.The F4, F5, F6 and F100 should all work fine. Definitely as D700 is a FX, full frame; it's also a backup to professional camera D3, D4, or D5 which uses this lens. Does the lens manufacture in Japan? We prefer Japan or another country, but not China!!! I purchased this lens from Nikon at a refurbished sale price, approx. $400 less. I was testing the lens sharpness at 1.4 with my Spyder lens calibration kit. Using a tripod &amp; shooting outside in good sunlight. I was looking at the results in LR at 100% magnification and it appears sharp :-) Then I imported the file into PS because you can zoom in much more. I cranked up the zoom to 500% mag. and it really doesn't appear tack sharp. Is this just way too much magnification for anything to look sharp? I guess 500% would be the equal to a roadside sign? I have a 1.8 rather than a 1.4 85 mm. The 105 1.4 is the best lens I own. Also have the 24 &amp; 35 mm 1.4s. The 105 is excellent in every way a lens is judged. 5 stars definitely! I was wondering if this lens is weather sealed so that I can take photos in less then ideal conditions light rain or in the winter time with those big wet snow flakes coming down at a fast pace. Thank You! you can buy a cover to protect it.